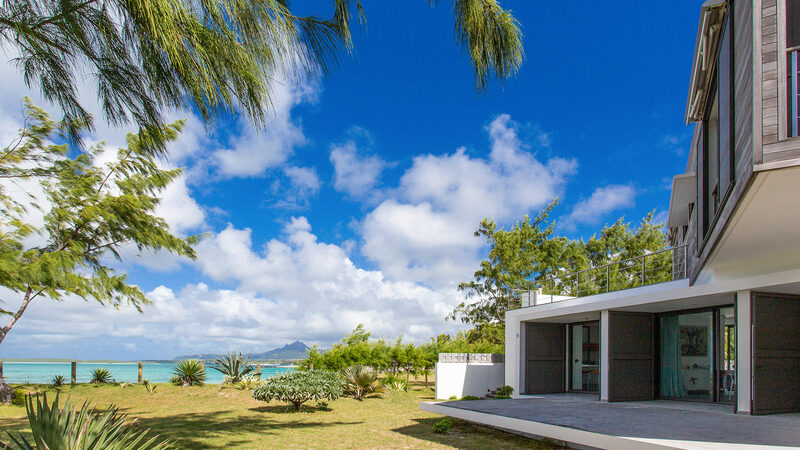 Villa Océane is built at the edge of the freshwater lagoon on the East coast of Mauritius. 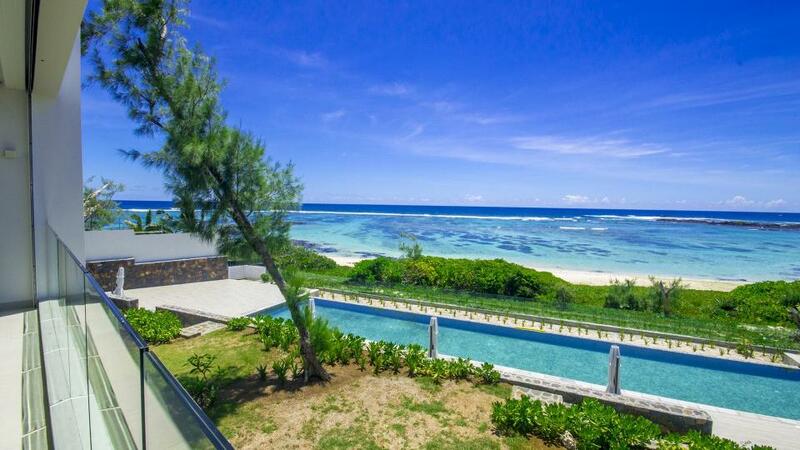 It has a tropical climate with stunning views of the Indian Ocean lagoon. 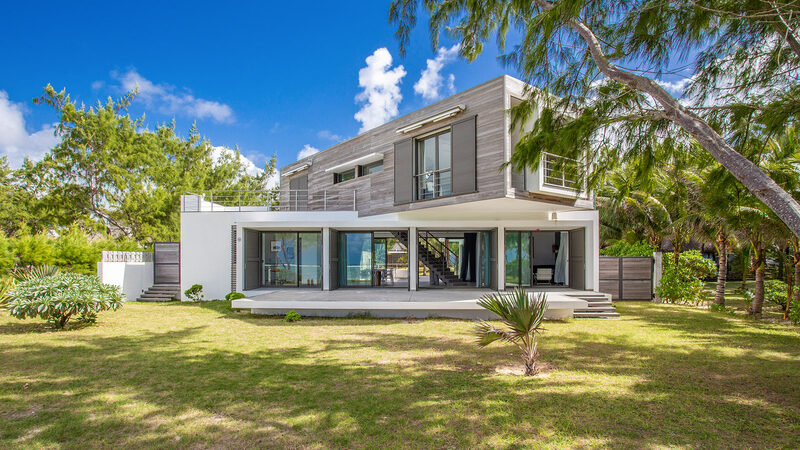 The house also opens onto a large swimming pool surrounded by terraces overlooking a patio. 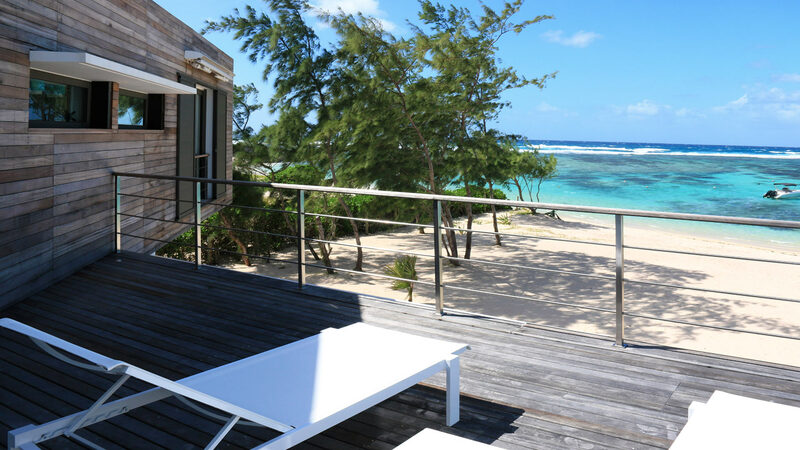 It has three suites overlooking an idyllic landscape. Room, Ground level. This bedroom has 1 double bed King size. Bathroom ensuite, With 2 washbasins, shower. separate WC room. This bedroom includes also air conditioning, office table, dressing room, private balcony. Room, 1st floor, view of the sea. This bedroom has 1 double bed King size. Bathroom ensuite, With 2 washbasins, shower. WC in the bathroom. This bedroom includes also air conditioning, office table, private balcony. Room, 1st floor, view of the sea. This bedroom has 1 double bed King size. Bathroom ensuite, With 2 washbasins, shower. separate WC room. This bedroom includes also air conditioning, dressing room, private balcony. The villa has a large living room with TV, a dining room with a table for 10 people and a fully equipped kitchen. 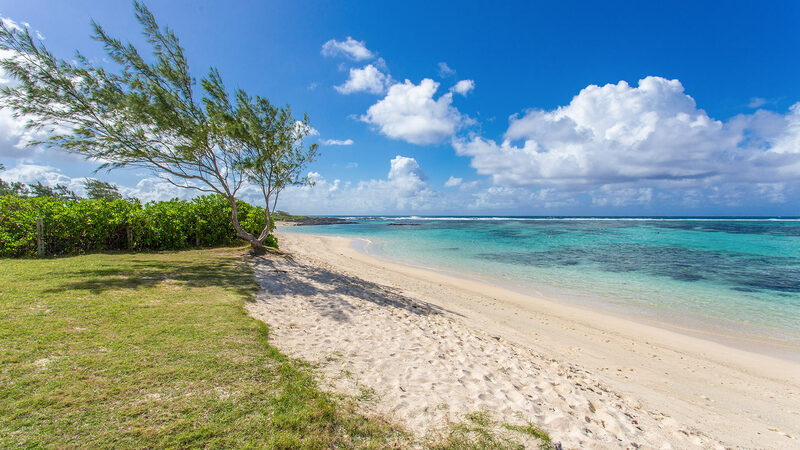 The large terrace, with sea side sandy beach, opens onto a stunning lagoon. On the poolside, a covered terrace with electric awning features a dining table for 12 guests, and a lounge area overlooking the pool. 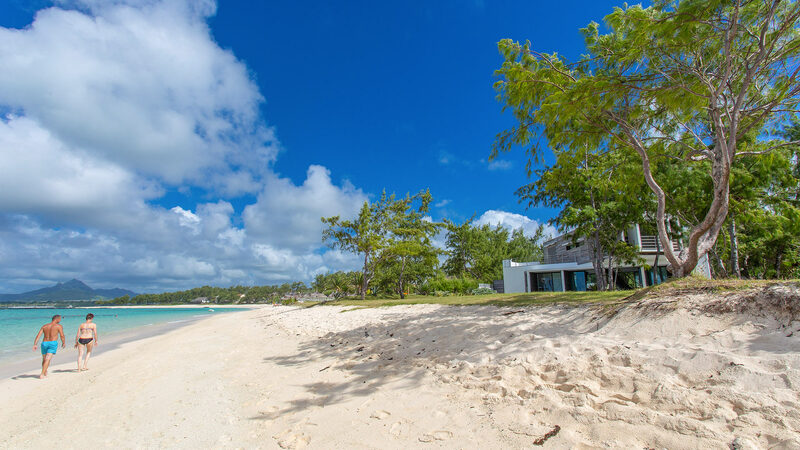 The villa is located just minutes from the village of Trou d'Eau Douce, starting point for the inevitable trip to the Deer Island. 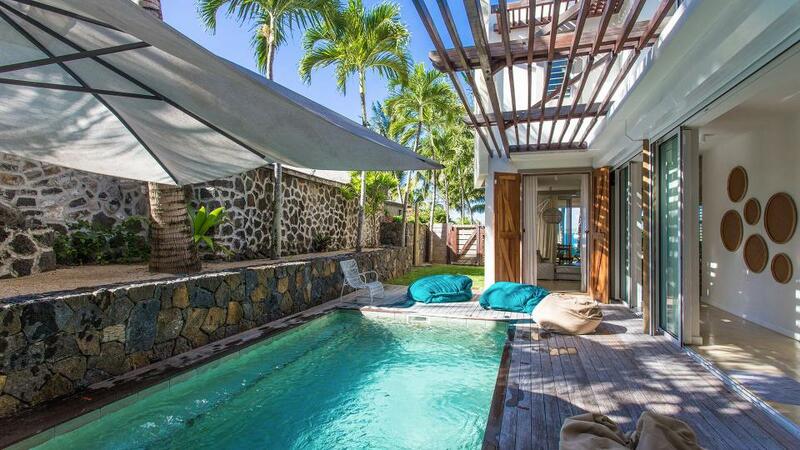 The villa is ideal to visit the famous kite spots and golf courses on the East coast. Customers must avoid letting valuables hang around, please use the safe.